It was love at first sight for Samuel Bellamy and Mary Hallett. According to local lore, when the two met on a spring evening in 1715 in a tavern in Eastham, MA on Cape Cod, they began to talk about marriage. But when Hallett’s wealthy parents put a stop to the plan when they learned of their daughter’s desire to marry a penniless sailor, Bellamy stormed off, vowing to make his fortune and then return to claim his lover. Soon after Bellamy left, the legend continues, Hallett discovered she was pregnant, and later in the winter she was found in a barn holding a dead baby. 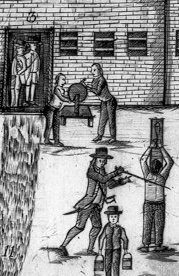 As punishment, she was publicly whipped before being thrown in jail to await her trial for murder. While in prison she lost her mind and with the help of the Devil escaped. She then lived a hermit’s life, where she roamed the beaches, scared children, brewed up storms, and waited for her lover to return. The love story of Bellamy and Hallett is far-fetched, but historians have verified that a Mary Hallett did live in Eastham in 1715. She was the daughter of a wealthy settler, and she died childless in 1751. Was she Samuel Bellamy’s lover? We do not know. While the story of the two lovers may or may not be true, we do know that around this same time Bellamy met Paulsgrave Williams, a silversmith from an affluent and well-connected family. When the two young men learned that an armada of eleven Spanish ships transporting an enormous treasure had run into a hurricane off the coast of Florida–and that the precious cargo now littered the shallow shores just waiting for those with means to dive into the water and retrieve it–they recognized their opportunity to make their fortune. Williams secured a ship, and with Bellamy lending his seafaring expertise, the two headed south to join in the treasure hunt. Bellamy and Williams spent a month down in Florida at the site of the wreck, but the most they could find were scattered coins and cargo. They needed to come up with a new plan. As they picked up and headed further south into the Caribbean, they decided that if they could not find treasure from ships lying on the ocean bottom, they would turn pirate and simply seize it from ships sitting above water. The two aspiring pirates had no trouble finding sailors in the Caribbean who wanted to join them in their adventure. Eventually, they teamed up with Captain Benjamin Hornigold, the most successful pirate at the time. Hornigold was so impressed with Bellamy’s skills that he appointed him captain of one of his newly captured ships. Before long, they came across another pirate, Olivier La Buse, and the three teamed up to terrorize merchant ships carrying precious cargo back and forth between the New World and the Old. After experiencing great success, the partnership eventually soured. Hornigold was unwilling to attack English vessels out of loyalty to his home country, whereas Bellamy and La Buse maintained that any ship of any nationality should be fair game. 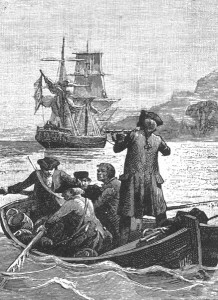 The disagreement was put up to a crew-wide vote–in deciding matters of policy on board pirate ships, democracy ruled–and two-thirds of the men sided with Bellamy and La Buse. Hornigold left humiliated with only 26 loyal men following him (including Edward Teach, who would later become known as “Blackbeard”). In time, Bellamy and his French partner also went their separate ways. After Bellamy’s meteoric rise from being a poor sailor in Massachusetts to becoming a feared pirate captain, he was now in charge of 170 pirates, who had backgrounds as varied as English, Irish, Scottish, Welsh, Spanish, Dutch, Swedish, and African. Under his command, he had a medium-sized warship and a sloop-of-war, the Sultana and the Marianne, and with them he enjoyed great success in attacking merchant ships throughout the Caribbean. But his ascent had not yet reached its zenith, because he was about to increase his maritime arsenal substantially. The Whydah was a newly built slave ship that could carry an enormous load of up to 700 slaves or the equivalent in cargo. It was also armed with 18 powerful cannons mounted on its sides with room for more. 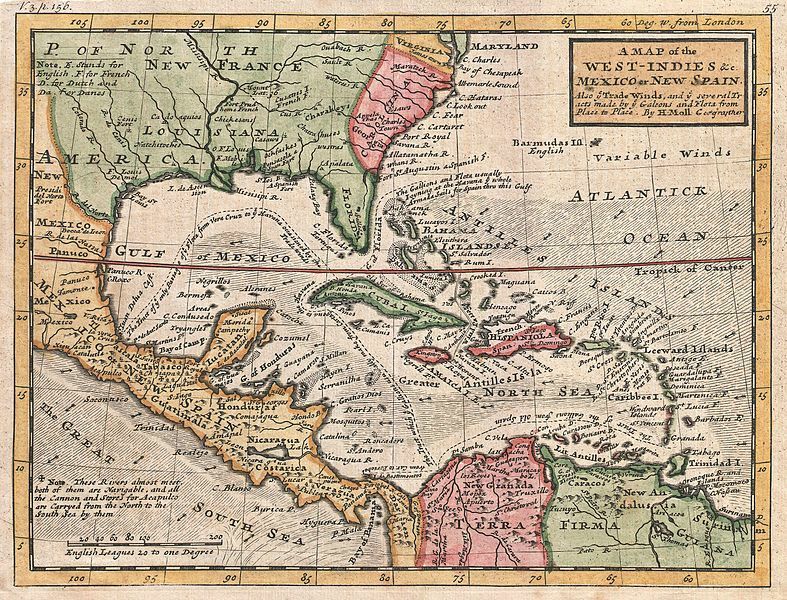 In February 1717, Captain Lawrence Prince was returning with it back to England after buying hundreds of slaves on the Slave Coast of the Gulf of Guinea, selling his human cargo in Jamaica, and then loading the ship back up with sugar, indigo, silver, and gold to take back to England. Only a few days out on the final leg of his circular journey, Prince noticed that the Whydah had gained two shadows. Even though the two ships following him in the distance were flying the Union Jack, Prince was worried. He ordered his crew to put up more sails in an attempt to lose them. The chase lasted three days until the Sultana and the Marianne finally pulled up alongside the Whydah. Despite all of his ship’s firepower, Prince got off only two shots at the attacking vessels. The threatening display of Bellamy and his crew waving cutlasses, muskets, and hand-made grenades was enough to scare Prince and his crew into submission. For the 30 to 50 Africans on board Bellamy’s ship–pirates who had willingly joined Bellamy after he raided in similar fashion the slave ships that were transporting them–the capture of this vessel must have been especially satisfying. Now that the Whydah was in their possession, Bellamy’s crew transferred all of their valuable cargo and guns from the Sultana onto their new prize. They also removed any unwanted cargo from the Whydah and loaded it onto the Sultana. Bellamy gave his unwanted ship to Prince, along with an amount of gold worth a paltry 20 pounds, so that he and his crew could sail home. Thomas Davis, a carpenter who had previously been forced to join the pirates, asked Bellamy if he could go with Prince, since the pirate captain had promised to release him at some point. But the pirate crew overruled Bellamy by voting to retain Davis on account of his valuable skills. Several of Prince’s men, in contrast, decided to stay with Bellamy rather than return home with their captain. Bellamy forced three other members of Prince’s crew to remain on his ship because they possessed special skills and were unmarried–Bellamy never forced a married man to join him. Bellamy not only took possession of a state-of-the-art warship; the Whydah was also carrying a mind-blowing amount of treasure and gold valued between 20,000 and 30,000 pounds. The gold was counted out and divided into bags containing 50 pounds each in order to hand them out later as shares to the 180 men. The bags were kept unguarded in chests between decks, although no one was allowed to enter the hold without the Quarter Master present. With the Whydah and the Marianne under his command, Bellamy now headed north, seizing and plundering dozens of ships along the way. At one point off the coast of the Carolinas, the pirates took a small sloop. The ship was too small to be of use to the pirates, so as Bellamy’s crew unloaded its cargo, they debated what to do with it. Bellamy and Williams were in favor of giving it back to its captain, but the crew voted otherwise. Reluctantly, Bellamy called Captain Beer into his cabin to give him the bad news. “Damn my blood,” Bellamy said, “I am sorry they won’t let you have your sloop again, for I scorn to do anyone a mischief when it is not for my advantage. Damn the sloop, we must sink her and she might have been use to you.” With that, Bellamy’s crew set the ship on fire and rowed Beer over to the Marianne, so that Williams could eventually drop him off at Block Island. Bellamy and Williams became separated before reaching Rhode Island. After dumping Captain Beer and his crew off, Williams hung around off the coast of Rhode Island and the mouth of Long Island Sound waiting for Bellamy to meet up with him. But Bellamy continued heading up toward Cape Cod. Local lore again says that Bellamy’s destination was Eastham, in order to show off his newfound wealth to the family of his sweetheart. Along the way, Bellamy captured the Mary Anne, which turned out to be carrying a large load of wine from Boston to New York. Bellamy put eight of his men in charge of the ship and looked forward to the wild drunk fest they would enjoy once they reached land. Bellamy continued the journey with his new prize in tow, but dense fog began to roll in, and the two ships were soon separated as well. The pirates on board the Mary Anne made the most of the situation by breaking into the hold and starting to drink the wine. But the party was interrupted when they discovered that the ship was taking on water. As they assigned their captive crew the grueling task of manning the pumps, the sky blackened and the winds stiffened. It was not long before 30-foot waves started to batter the ship, and 70 mile per hour winds began to push it towards the coast of Cape Cod. Despite the efforts of the crew to keep the ship away from shore, the bottom of the ship collided with the ocean floor. One of the pirates grabbed an ax and began chopping away at the masts to take them down and relieve the stress on the shattered hull. After two of the three masts fell, the pirates and the captive crew all huddled together in desperation to hear one of the literate men on the ship read from the Book of Common Prayer. The pirates and sailors on the Mary Anne were relieved when daybreak arrived. The ship ran aground on a small island south of Eastham, and it being low tide they could actually jump down from the ship onto dry ground. The pirates picked up at the point where they were so rudely interrupted by continuing to drink down the wine that survived the storm. Ten miles to the north, Bellamy and his crew were not nearly so lucky. The mighty Whydah turned out to be no match for the violent waters, which smashed the ship up against the shoreline. The ship’s canons came loose, the main mast came crashing down, and the hull broke apart and emptied its contents, including the men and the treasure, into the sea. In the end, only two of the pirates on board the Whydah made it safely to shore: John Julian, a Mosquito Indian, and Thomas Davis, the carpenter who requested to leave the pirates when the Whydah was captured. Everyone else, including Bellamy, perished. At ten o’clock in the morning, two local men, John Cole and William Smith, spotted the wreck of the Mary Anne and rowed over to the island to help transport the crew back to the mainland. While the pirates argued in front of Cole and Smith over what they should do next, one of them blurted out that they were members of Sam Bellamy’s pirate crew. Realizing the error, the men gathered up their things and moved on. Cole ran straight to the authorities, and the seven pirates were picked up in the Eastham Tavern and thrown in jail at Barnstable. News of the shipwrecks continued to spread. Massachusetts Governor Samuel Shute tried to act quickly to prevent looting and recover as much of the pirate treasure for the Crown as he could. He issued a proclamation ordering people to turn over to the state any escaped pirates and any treasure, goods, or merchandise from the wreckage. 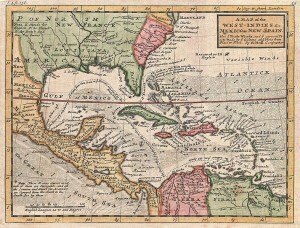 He then sent Cyprian Southack, a cartographer and sea captain, to the site of the Whydah’s wreck to oversee the recovery. Southack arrived at the scene only to discover 200 people already combing the beach and carting off whatever fragments of the wreckage they could find among the hundred plus battered corpses strewn across the beach. It being low tide, he could spot the anchor of the Whydah out in the water, but the rainy weather and rough seas prevented him from finding any of the supposed treasure that might have been buried in the sea. Southack issued a public demand for the return of any items that people took from the wreck, but he only received what amounted to 200 pounds worth. The rest of the ship’s loot either made it into the hands of individuals or remained at the bottom of the ocean. Southack marked the location of the shipwreck on one of his maps and moved on. About two months later, two anchors, two great guns, and other items recovered from the wreckage of the Whydah were auctioned off at the Crown Coffeehouse in Boston. 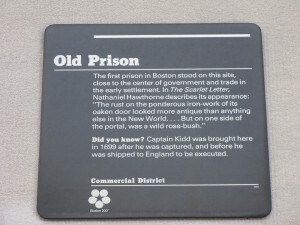 Governor Shute ordered the seven pirates being held in Barnstable to be transferred to Boston, where they were put in the same prison where Captain Kidd was held back in 1699 (at what is now 26 Court Street). The two sole survivors of the Whydah were also picked up and placed in prison with the others. Julian’s stay there was not long. Due to his dark skin, he was sold off as a slave. In this case, his fate turned out to be a blessing, because the rest of his crewmates were about to face trial for piracy. 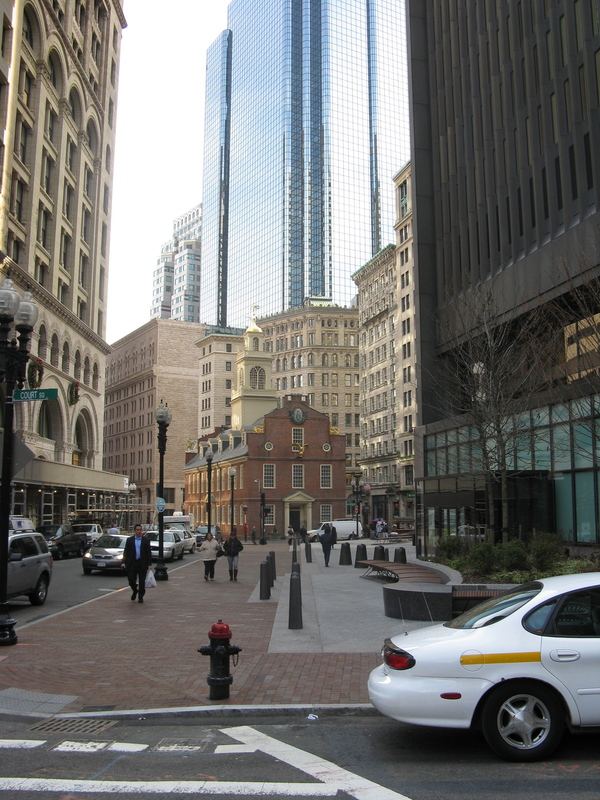 The eight remaining pirates were tried at what is now the Old State House near Faneuil Hall, right down the street from the Boston Prison. The seven pirates aboard the Mary Anne were tried together first. They were all found guilty and sentenced to death except for one, a carpenter named Thomas South, who convinced the court that the pirates forced him to join their crew. Thomas Davis from the Whydah was tried separately and was also found not guilty for the same reason. When the two men each heard the verdict in their favor, they dropped to their knees and thanked the Court. 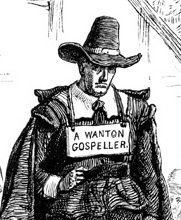 The famous New England minister, Cotton Mather, visited the six remaining pirates in prison, and on November 15, 1717, he accompanied them to the Charles River ferry landing, where a large crowd gathered to witness their execution. 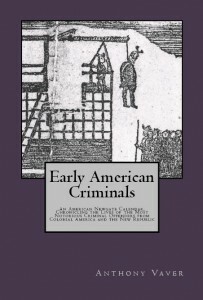 According to Mather, the pirates showed consternation and penitence for their actions as they stood on the scaffold. One of the pirates made a short speech, “which every body trembled at,” warning the sailors in the crowd not to repeat his wicked living and to avoid if at all possible falling into the hands of pirates. Mather noted, to his chagrin, that his speech was riddled with salty language. Paulsgrave Williams, who rode out the storm in safety near Rhode Island, eventually learned of Bellamy’s fate. He reluctantly turned around and headed south to Nassau to spread the news about what had happened to other pirates. He continued to capture and loot ships along the way. 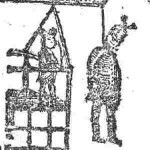 When word reached Blackbeard that Massachusetts had hanged six members of Bellamy’s crew, he was furious. 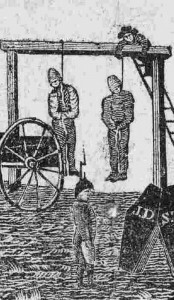 In revenge, he burned one of the ships he captured “because she belonged to Boston alledging the People of Boston had hanged some of the pirates.” He then vowed to disrupt and destroy as much British shipping as he could. Bellamy’s ship remained underwater and undiscovered until 1984, when undersea explorer Barry Clifford found the wreckage by using Southack’s map to help him find it. To date, the Whydah remains the only positively-identified pirate shipwreck ever to be discovered. Over 200,000 pieces have been found over the course of the Whydah recovery project, including the ship’s bell, which has an inscription that confirmed the ship’s identity. The value of the recovered treasure, though, resides more in the information it has given to us about pirates and their lives than in actual monetary riches. [Advertisement]. Boston News-Letter, From Monday July 22, to Monday July 29, 1717, issue, 693, p. 2. Database: America’s Historical Newspapers: Readex/Newsbank. “Advertisements.” Boston News-Letter, From Monday June 10, to Monday June 17, 1717, issue 687, p. 2. Database: America’s Historical Newspapers: Readex/Newsbank. “Boston.” Boston News-Letter, From Monday April 29, to Monday May 6, 1717, issue 681, p. 2. Database: America’s Historical Newspapers: Readex/Newsbank. Dow, George Francis and John Henry Edmonds. The Pirates of the New England Coast 1630-1730 . New York: Dover Publications, 1923 reprint. “Education Through Exploration.” The Whydah Pirate Museum. Website: http://whydah.com/barry-clifford-biography.pdf. [Mather, Cotton]. Instructions to the Living, from the Condition of the Dead. Boston: John Allen for Nicholas Boone, 1717. Database: America’s Historical Imprints: Readex/Newsbank. Rediker, Marcus. Villains of All Nations: Atlantic Pirates in the Golden Age . 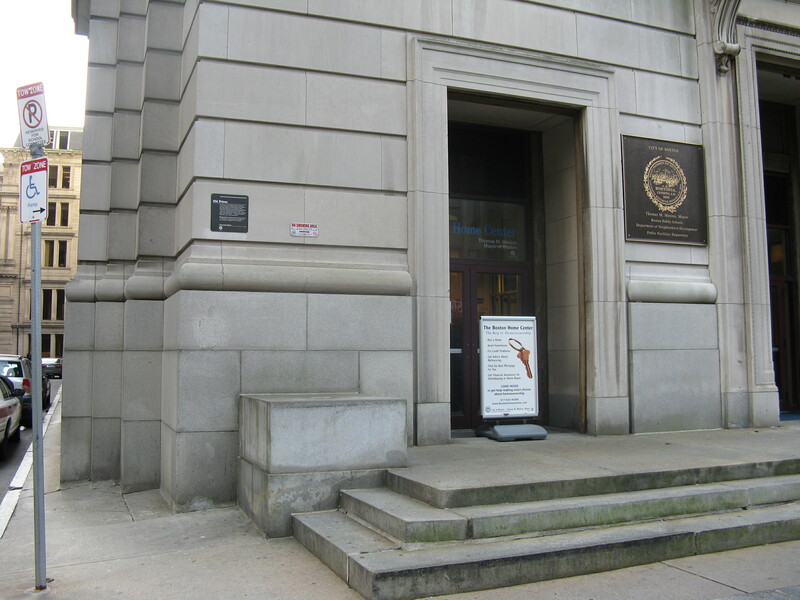 Boston: Beacon Press, 2004. 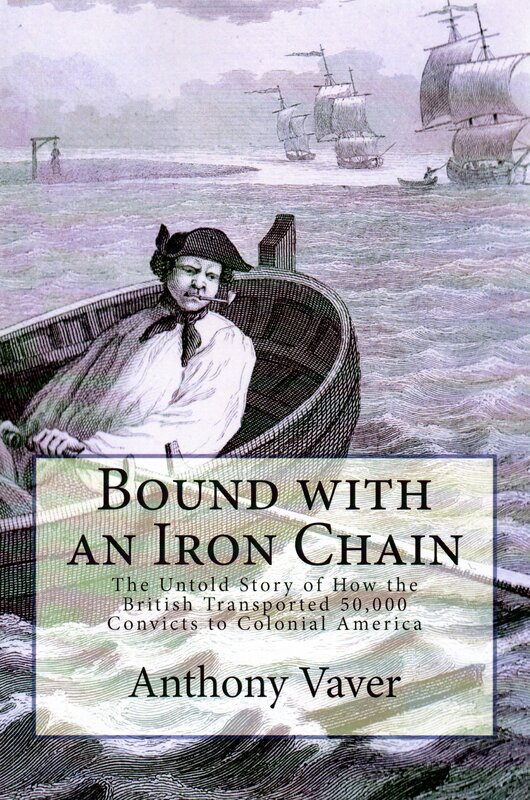 The Trials of Eight Persons Indited for Piracy &c. Boston: B. Green for John Edwards, 1718. Database: America’s Historical Imprints: Readex/Newsbank. Webster, Donovan. “Pirates of the Whydah.” National Geographic Magazine, May 1999. Website: http://www.nationalgeographic.com/whydah/story.html. Woodard, Colin. The Republic of Pirates: Being the True and Surprising Story of the Caribbean Pirates and the Man Who Brought Them Down . New York: Harcourt, 2007. This was written by Anthony Vaver. Posted on Wednesday, December 21, 2011, at 4:09 pm. Filed under Criminals. 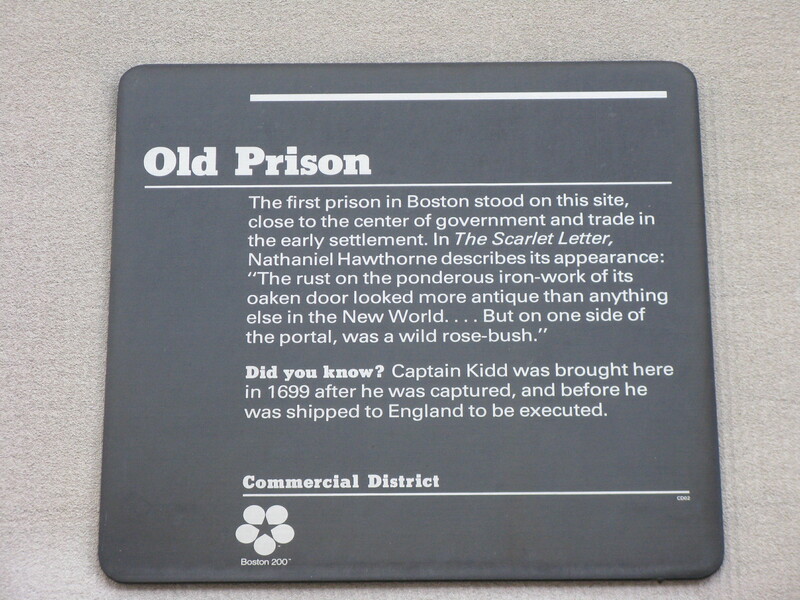 Tagged Execution, Massachusetts, Murder, Piracy, Prisons and Jails, Punishment. Bookmark the permalink. Follow comments here with the RSS feed. Post a comment or leave a trackback. just a note… Blackbeards’ Queen Anne’s Revenge has also been positively identified and found.